I was late to the party on this one, as it won the Pulitzer in 2014 and was also a National Book Award finalist. ATLWCS’s style is very different from what I’m used to, but it did bring me back to that literary, “high brow” work I often read in Grad school (you know, the kind you sometimes just want to roll your eyes at…) And Doerr’s style is as literary as they come; with effortless technical, scientific language that is both evocative and unconventional in terms of sentence structure, and overall structure. ATLWCS is split into particularly small chapters that are vignette-like in their poetic, thoughtful nature. The plot jumps around a timeline and from major and minor characters, between parallel stories, all threads finally converging around 80% into the book. The non-linear format was sometimes disconcerting, especially when Doerr jumped to a minor character whose importance was not revealed until further into the plot. Without giving away too much, since I like to keep these reviews fairly spoiler-free, much of the plot revolves around a rare, allegedly cursed stone called the Sea of Flames. I actually wondered at one point why the book wasn’t titled that, but I suppose that would have been too easy (and perhaps too aggressive given the ethereal images the actual title evokes.) 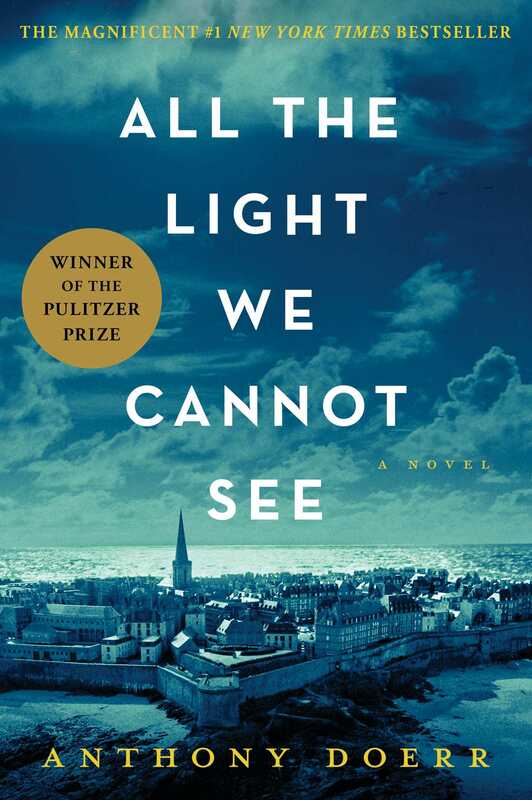 All the Light We Cannot See clearly alludes to the magic and wonder Marie-Laure still sees in the world despite her being blind–and the same applies to Werner, who comes of age in a stark, unforgiving, brutal time in Germany’s history. The title and themes attached also highlight that fragile, glowing hope either held close or destroyed during conflict. Some characters touch us briefly but deeply, which makes their fates all the more heartbreaking. There is no fuss in Doerr’s prose–all clean lines and angles, despite the conscious choice to sometimes ignore structure and grammatical rules. Doerr’s descriptions are often presented in a way Marie-Laure might “see” the world–with enhanced senses of touch and smell. We can feel the grain of the tiny wooden house model, smell the brine of the sea. I think it was in this way, along with how the book was split up, that I often saw the events blocked out in terms of a screenplay.